My 8-year-old niece will be delighted that her favorite color pink is the new black. In other words: the current fashion favorite. Over the weekend in Paris, designers such as Valentino, Celine, Balenciaga, Givenchy and Rochas served up a series of Spring 2017 silhouettes that ranged from pale blush to eye-popping fuchsia. Fashion show attendees are already adopting this runway trend, blushing head to toe or, more discreetly, with just a pop or two. 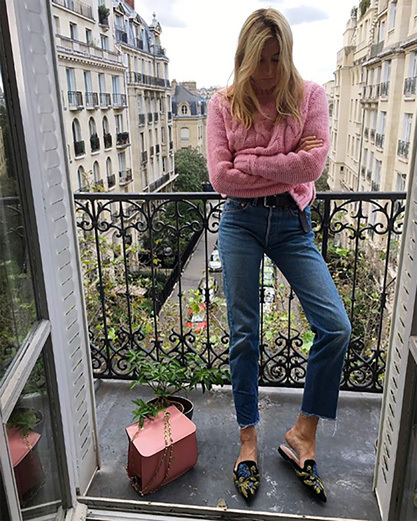 I could easily jump onto the bandwagon with these pink pretties from Topshop, Whistles, Mansur Gavriel, Zimmermann, Loewe, J.Crew, Prada, and Ganni (last pic). 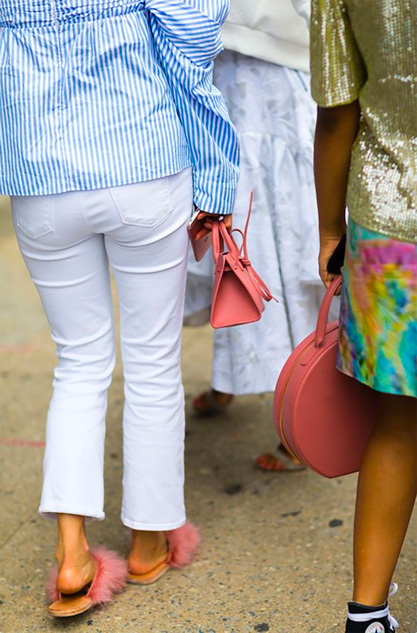 Do you know what those fuzzy pink sandals are? 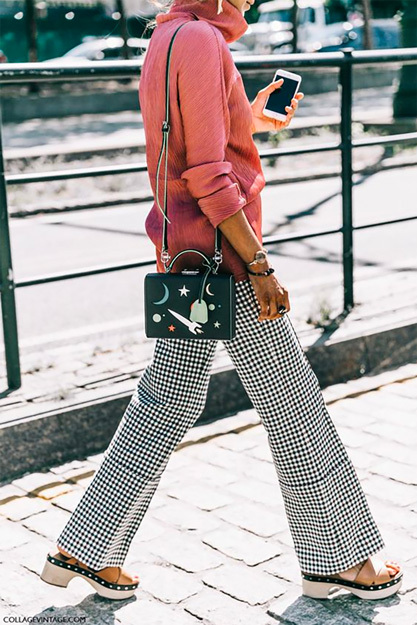 Do you have any idea who made the embroidered shoes in the last picture? The embroidered mules in the last pic are by Alberta Ferretti. 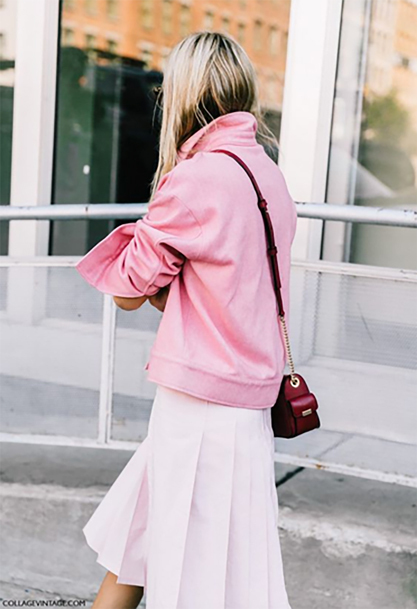 Yes, go for pink all winter long! I've always been a pink girl with a little tomboy. But the only pic that caught my eye was the pink sweater With the denim jeans. I'm sure it is quite expensive. I live on limited income and I would love some advice or places to look for something like that, yet less expensive.